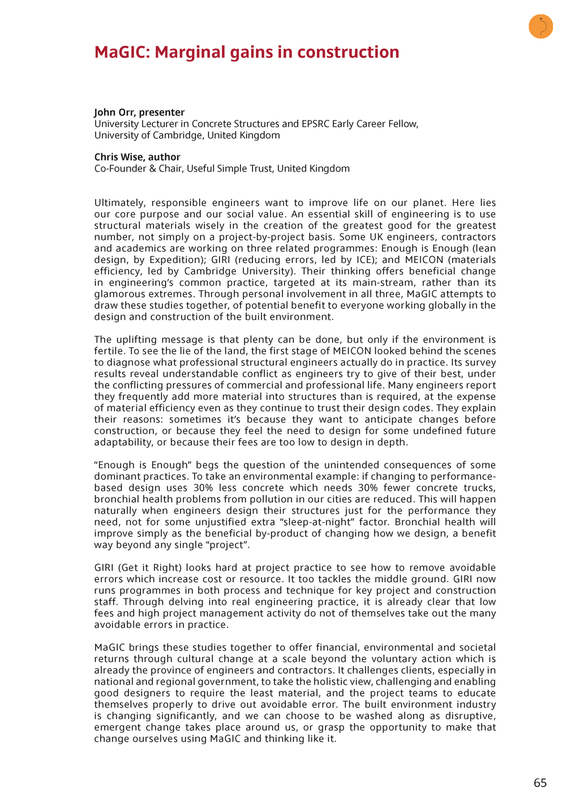 Dr Orr presented, on behalf of Chris Wise, a summary of three projects - MEICON, “Enough is Enough”, and “Marginal Gains in Construction”, which together form “MaGIC - Marginal Gains in Construction”. Chris’ abstract is copied below. The research was featured in the concluding session of the Forum, presented by the leader of the workshop, Professor Gugger. The results of the conference will feed into a new publication, and we hope to continue to work with LafargeHolcim on support for the MEICON project.